Winter is upon us, and here in the UK over the last week, temperatures have plummeted to zero or under. In the summer, we looked at ways of keeping our pets cool and how to deal with emergencies such as heatstroke - we need to also take precautions in the winter to keep our beloved pets happy, comfortable and healthy. Here are our top tips for a toasty winter! 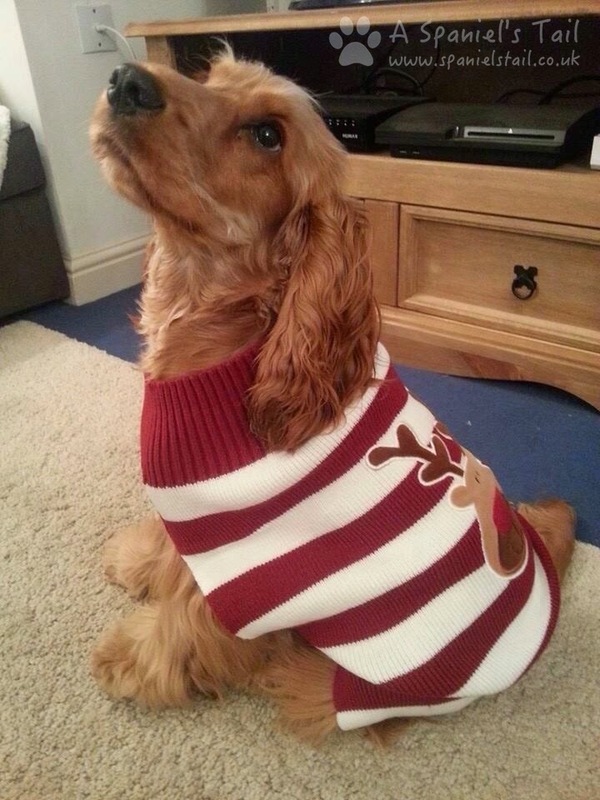 We love cosy Christmas jumpers! First of all, in case the weather should make it hard to get to shops (here in the UK, this seems to be at about half an inch of snow! ), make sure you have an adequate supply of the essentials - food, medications, cat litter. 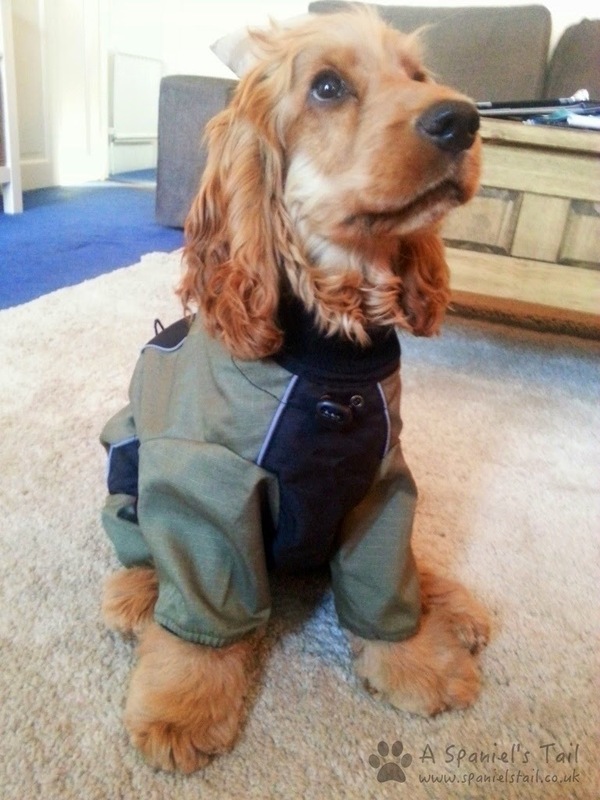 Zooplus waterproof winter coat.....or paratrooper? Don't forget your outdoor pets. Make sure they are sheltered from the elements, have plenty of bedding that they can snuggle cosily into, and importantly, check their water bowl a few times a day. In freezing weather, it doesn't take long for water to freeze over, and they could get dehydrated quickly. I am very much hoping it snows this year - my first winter last year it didn't, and we were very disappointed! Keep an eye on your pets in the snow though - the snow can ball up into very hard lumps of ice in long fur, ends of ears, and most painfully between pads of the feet. To get rid of them quickly, warm water can dissolve them away. Keeping the fur between footpads trimmed can also prevent the build up of these iceballs. Salt and grit on the pavements needs to be watched - it can be very irritating to pets when they get it on their paws, particularly if they have any abrasions. If they then try to lick the salt or grit off their paws, it can lead to a very upset tummy. After a walk in icy weather, we would recommend wiping their feet off with a warm wet flannel or towel. Anti freeze is LETHAL to cats and dogs. Make sure any spillages are cleaned up as it tastes sweet to them, and keep an eye on them when out and about. Just like we advise you not to leave your dogs in the car in the summer, it is equally important in winter. Just like a car in summer can turn into an oven, in the winter it turns into a refrigerator! Leaving your dog in the car could lead to hypothermia. Days are shorter, which invariably means you may be walking your dog in the dark. 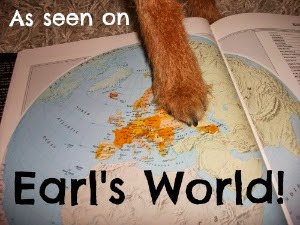 There are precautions you can take both for you and your dogs safety. Wear bright or reflective clothing, and if possible put a reflective collar / lead on your dog (there is a large range at Collars & Tags to choose from), and make sure someone knows where you are walking. As always, make sure your dog is wearing their ID - you can also get some handy clip on flashing lights to attach to your dogs collar, for a couple of quid. Again, Collars & Tags also sell a variety of tags and pet safety lights for your dog. We hope these tips help you and your pets enjoy the winter - don't forget to comment below if you have any more useful tips to get through the icy, wet or snowy months! Good list and great tips. Luckily so far things are still nice if a little bit cooler. Have a wonderful Wednesday. Wow! That's a very good report! Thanks Lottie! Joey dog and I have our winter coats on, and we love the snow. We usually don't stay out very long, though. Great tips! Our pups also have dog booties they wear when it's extremely cold outside. Great tips. We are lucky it doesn't often get very cold where we live but when it does we like to be warm. Great tips! Love the outfits too!